We are sweet potato kindred spirits, Jessica! 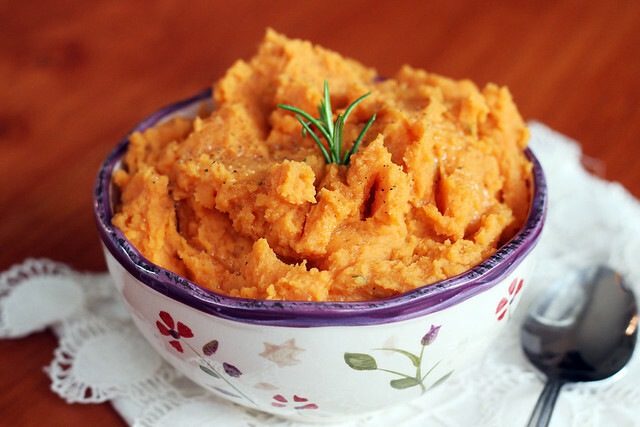 I’m not even joking, I have almost this exact post written for the mashed sweet potato recipe I am posting sometime in the next week. I talk about how I used to not like sweet potatoes, then I tried some that weren’t ‘sweet’ sweet potatoes, etc. LOL! I love it. I will be sure to link to your recipe when I post. This is too funny. Oh, and I am SO trying out this version!! That is so funny! 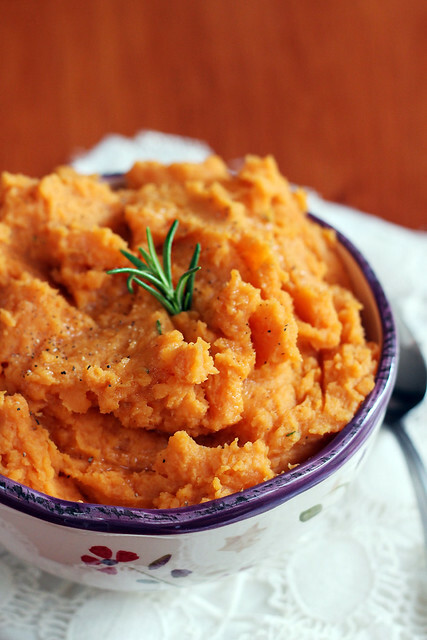 !”Sweet” potatoes are just SCREAMING to be made savory, in my opinion. 🙂 I wonder how many people in this world have been tricked into thinking they don’t like sweet potatoes because they’ve only ever had them covered in brown sugar and butter?! Can’t wait to see what you came up with! Wow! My family would gobble this up at the Thanksgiving meal. It looks perfect. Thanks for sharing such a great recipe. When you say “steam”, do you mean boil? Also, dying to try this out!! You can boil, if you want to, but I feel like boiling gives sweet potatoes a weird texture. I have a pot that is meant for steaming (looks kind of like a colander on top of a big pot, like this). Another option is to microwave the sweet potato cubes.